Southern California Animal Hospital provides comprehensive care for all types of animals, including cats, dogs, reptiles, birds, small animals and other exotics. Our vet hospital is located on Valley Blvd between Sunset Ave. and 7th Ave. in La Puente, California. Our location makes it very easy to serve La Puente, West Covina, Hacienda Heights, Rowland Heights, North Whittier, City of Industry, as well as El Monte. Dr. Anil Kumar is the head of our veterinary hospital, and is a licensed, experienced vet, known for his expertise in diagnostic evaluations. You can feel confident that your pet will get excellent medical treatment from Dr. Kumar and our nurturing and caring staff. Southern California Animal Hospital is a full-service pet hospital, and our staff is trained in the latest technological advances in veterinary care. Just as importantly, we recognize that loving treatment of pets and animals is tantamount to their health and well-being. In order to provide pet owners in the community of La Puente with excellent service, our knowledgeable staff is committed to helping pet owners keep their furry friends healthy through education on proper exercise and nutrition. 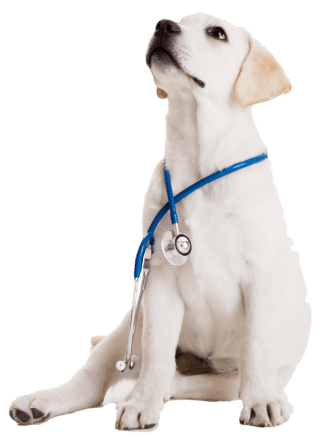 However, if your pet needs medical treatment or surgery, we will explain any issues or problems with you thoroughly, so that you can make well informed decisions. Our competent staff at Southern California Animal Hospital attends continuing education workshops to stay certified and keep current with the latest in treatment options available to our clients, so that your pet can get the best possible health care. If you are new to our vet, please take a few minutes to browse around our website for an online tour of our facility and services. Be sure to visit our Meet the Team page to get to know us better. Please feel welcome to contact us with any questions regarding services, treatments, or concerns regarding your pet. Our goal is to help your pets live long, healthy, and happy lives in your care. We are confident that Dr. Kumar and his professional, compassionate staff at Southern California Animal Hospital provide the highest standards of vet care. It is our goal to make every visit pleasant and comfortable for you and your pet, and every treatment outcome successful. To assure that your pet receives excellent vet care in a caring and nurturing environment, give us a call today, or contact us online! Our phone number is (626) 330-4558. Dr. Kumar and his team look forward to serving you and your pet(s).